A frenzied three-week bout of territorial conquests and mating; survival of the fittest as 40km (25 mile) long columns plunge through crocodile-infested waters on the annual exodus north; replenishing the species in a brief population explosion that produces more than 8,000 calves daily before the 1,000 km (600 mile) pilgrimage begins again. Tanzania’s oldest and most popular national park, also a world heritage site and recently proclaimed a 7th world wide wonder, the Serengeti is famed for its annual migration, when some six million hooves pound the open plains, as more than 200,000 zebra and 300,000 Thomson’s gazelle join the wildebeest’s trek for fresh grazing. The spectacle of predator versus prey dominates Tanzania’s greatest park. Golden-maned lion prides feast on the abundance of plain grazers. Solitary leopards haunt the acacia trees lining the Seronera River, while a high density of cheetahs prowls the southeastern plains. Almost uniquely, all three African jackal species occur here, alongside the spotted hyena and a host of more elusive small predators, ranging from the insectivorous aardwolf to the beautiful serval cat. But there is more to Serengeti than large mammals. Gaudy agama lizards and rock hyraxes scuffle around the surfaces of the park’s isolated granite koppies. A full 100 varieties of dung beetle have been recorded, as have 500-plus bird species, ranging from the outsized ostrich and bizarre secretary bird of the open grassland, to the black eagles that soar effortlessly above the Lobo Hills. As enduring as the game-viewing is the liberating sense of space that characterises the Serengeti Plains, stretching across sunburnt savannah to a shimmering golden horizon at the end of the earth. Yet, after the rains, this golden expanse of grass is transformed into an endless green carpet flecked with wildflowers. And there are also wooded hills and towering termite mounds, rivers lined with fig trees and acacia woodland stained orange by dust. hotels/tour operators. Maasai rock paintings and musical rocks. Where do you fly into for Serengeti National Park? Serengeti National Park has a number of regional airstrips, with Seronera airstrip being the closest and most popular out of the 7. The international airports near the park’s proximity are Mwanza Airport, Arusha Airport and Kilimanjaro International Airport, all of which offer international flight possibilities from locations across the world. Is Mt Kilimanjaro in the Serengeti? Africa’s highest peak, Mount Kilimanjaro, has its very own National Park in Tanzania. 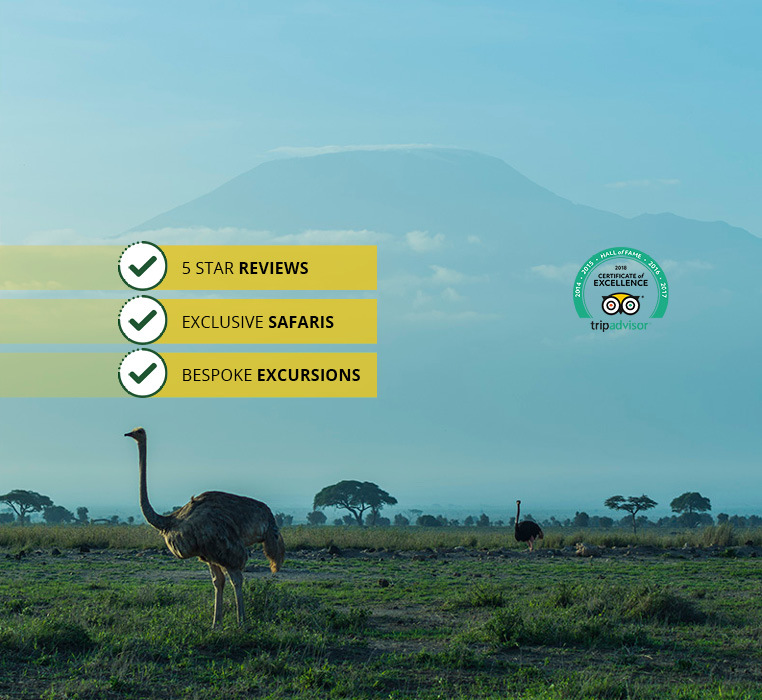 When embarking on a safari excursion with Natural World, you will be able to experience Serengeti National Park, Mount Kilimanjaro and an abundance of other spectacular Tanzania destinations. 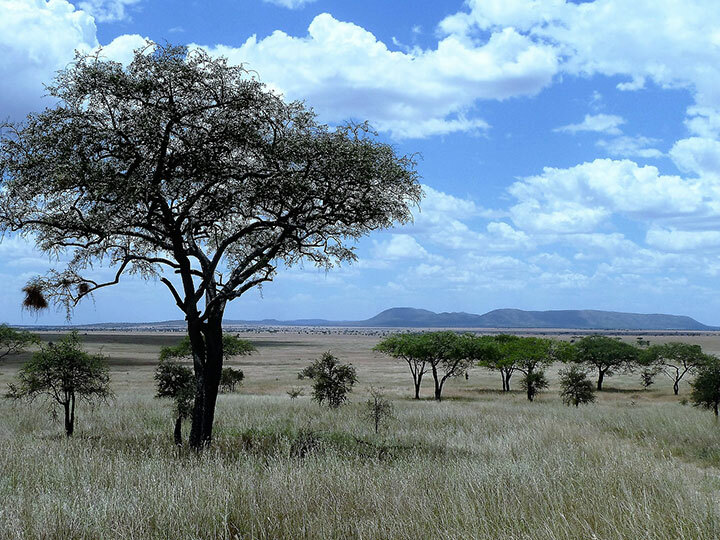 Serengeti lives up to its name of ‘endless plains’, boasting 12,000 square miles of vast ecosystem. What is Serengeti National Park famous for? Serengeti National Park is known for its massive annual migration of wildebeest and zebra. The Wildebeest travel through a variety of parks, reserves and protected areas in search for greener pastures. If you would like to visit Serengeti National Park, we have a range of safari excursions that will take you on stunning game view drives, as well as take you across more of Tanzania and Kenya’s spectacular destinations. Featuring Nairobi and Amboseli, our 7-day safari will let you experience vast ecosystems across the East African country. Alternatively, if you are planning a short safari stay, our 5-day Nairobi and Tanzania safari still features all the amazing wildlife and landscapes both countries hold. Natural World Safaris also offer an 8-day safari excursion where you will get to come close to the wildebeest migration during peak months. If you are amazed by the fantastic Serengeti National Park then have a look at the rest of our amazing wildlife holidays in Tanzania!